Equally with the famous singers, music bands are gaining more and more popularity. A group always consists of different participants, has a mix of voices and images, usually, this is an interesting show on stage and in clips and an even greater number of fans. 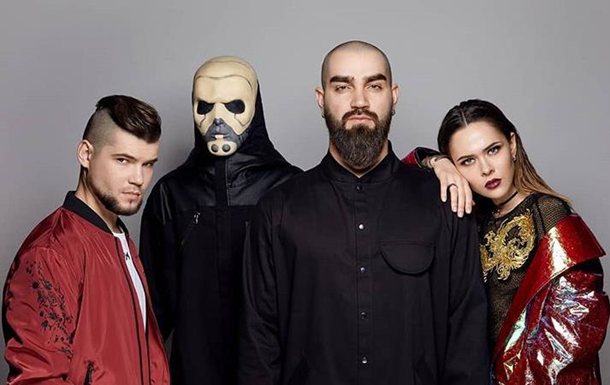 Currently, popular groups in Ukraine are DZIDZIO, Onuka, The Hardkiss, Boombox, and Ocean Elsa. They are all madly different but equally loved by Ukrainians. Okean Elsa is a Ukrainian rock band and Svyatoslav Vakarchuk is the vocalist and the undisputed leader. Ocean Elsa is beloved by both old and new fans. Their songs may be heard in movies, TV shows, on National Holidays etc. On August 24, on the Independence Day of Ukraine, they held a 4-hour concert. The audience was delighted with the performance. Thousands of Ukrainians waved their hands with lit lanterns to the beat of the music and sang the most popular songs of the group in unison with the performers. And it happens every time the band has a concert. The Ukrainian group DZIDZIO is a so-called “holiday” band, they turn their performance into a fun and vibrant show each time. DZIDZIO musicians have a non-standard image and an energetic style of performance. They call their style “comedy anti-glamorous pop”, and the songs are performed in the dialects of the Ukrainian language, flavoring them with profanity. ONUKA is a Ukrainian group whose work is based on the mixing of folk instruments and electronic adaptation. The team subjugated not only compatriots but also Europe with an unusual sound. At concerts, ONUKA includes 11 musicians. They are responsible for the “nationality”, they play the bandura, the telinka, the cymbals, the harp, the trombone, the trembit, the Cossack trumpet and the horn. The gentle vocals and music in the style of electro-folk were appreciated even in Japan. Texts in English and Ukrainian languages created by the soloist, Nata Zhyzhchenko. The combination of the two languages was intended for the Europeans to become acquainted with the distinctive culture of Ukraine. The Hardkiss sing in English, mostly their own hits. Gradually, the popularity of the group is gaining momentum. Talented Ukrainians, the Bumbox group, just appeared on the musical Olympus, immediately blew up the radio charts and gained the hearts of millions of music lovers. Their music is lyrical, but at the same time strong, touching the hidden strings of the soul. The music of Boombox is a mix of different directions, funk, jazz, hip-hop, rock. Fans notice the elegance of style – quiet, soulful music. Now that you’ve found the perfect holiday destination, you might want to consider choosing the perfect holiday accommodation. There is a great variety of accommodation in Ukraine which caters to all tastes and budgets. From Bed and Breakfasts to luxury resorts – all at affordable rates – there is a lot to choose from.